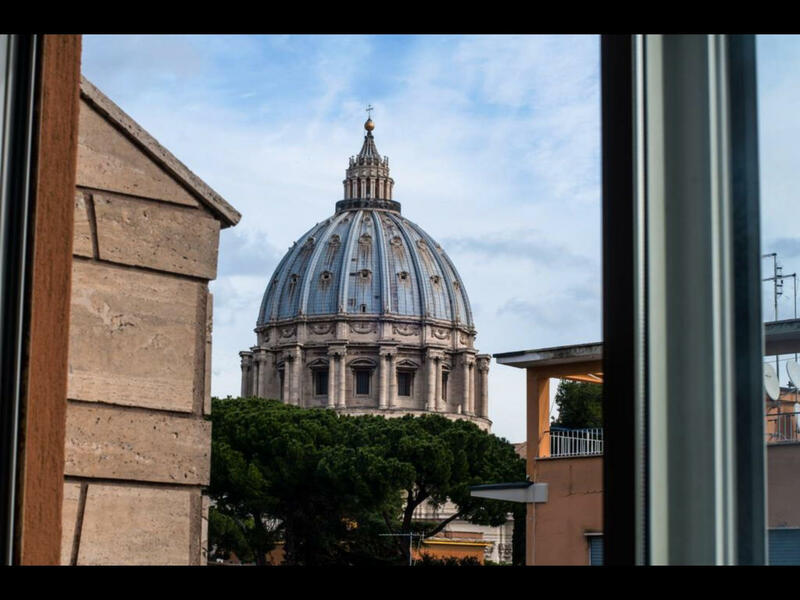 Holiday rental Vatican Penthouse is a nice property (80 sq m) that includes WiFi internet and air conditioning. The property can accommodate up to six people comfortably in two bedrooms with one bathroom. 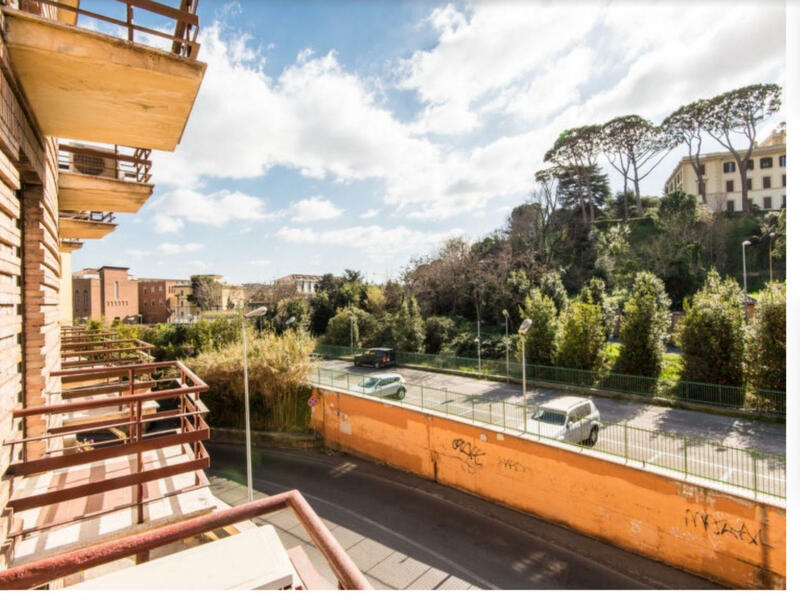 Conveniently located in Rome, Italy in the tourist area "Rome And Surroundings". Near the property there are local shops where you can find fresh produce and other items. If you can't find what you need locally, there is a shopping center located 4 km (3 mi) from the property where you can purchase your food and essentials. 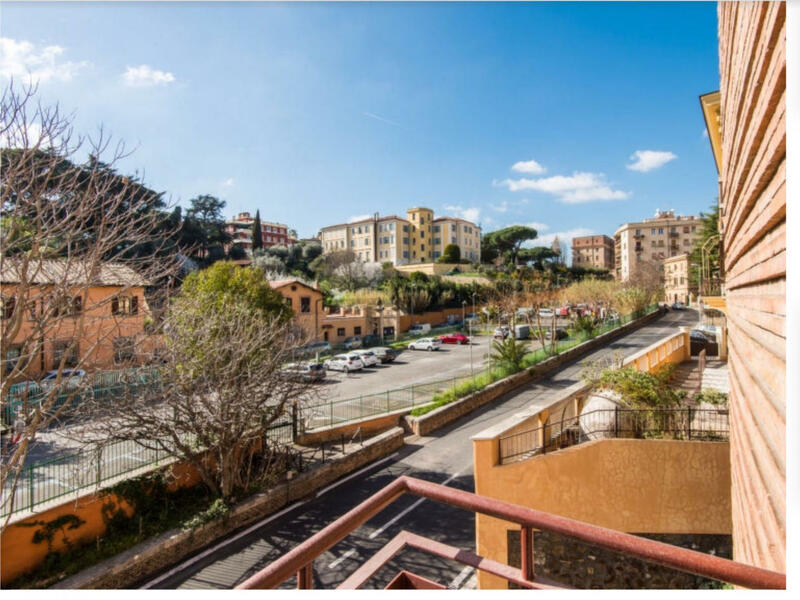 When you arrive you will be greeted by the owner or manager where you’ll find a lovely clean well-maintained property perfect for a splendid holiday in Latium. A real benefit of renting a home, instead of multiple hotel rooms, is the ability to relax after a busy day of sightseeing with family and friends. Enjoy a meal together along with some local wine to finish the day. It's very convenient to have a washing machine on-site that is available for your laundry needs. There is a kitchen including coffee machine and refrigerator, as well as, plenty of tableware and cutlery for up to six people. There are many nearby cities and towns that you can visit while on vacation, each one with its own history and culture that you can enjoy during your trip. The highway is only 7 km (4 mi) from the villa and there is a train station 650 m (400 ft) away. Nearest Airports: Roma Fiumicino (Fco) 28 km (17 mi), Roma Ciampino (Cia) 36 km (23 mi), Firenze Peretola (Flr) 310 km (193 mi), Pisa (Psa) 328 km (204 mi) and Bologna (Blq) 395 km (245 mi). Kitchen: dining table (people: 6), fridge, freezer, stove top, oven, italian coffee machine, washing machine, WIFI internet. Living room: sofa bed double, WIFI internet, air conditioning, television, exit to the balcony. Bedroom 2: two single beds, WIFI internet, exit to the balcony.